Special Offer: Purchase the book and the workbook together for $129.95 - a $19.95 savings. Increase your sales and profits by knowing and practicing proven sales techniques. Book: Based on the works of L. Ron Hubbard, The Complete Guide To Successful Selling is a powerful sales training guide, with over a hundred drills you can easily do on your own to perfect your selling skills. Whether you are new to the game of sales, or a seasoned professional, this book has everything you need to know on the subject, including the four primary types of objections, the eight steps of selling, and over a dozen specially designed closing techniques. Learn the technology of selling! 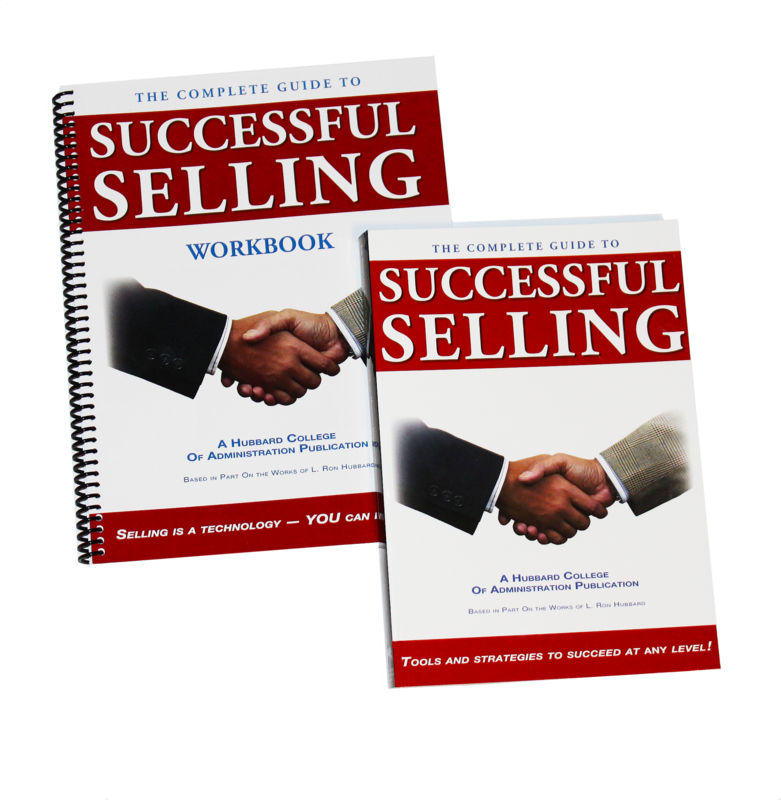 Workbook: Learn how to apply: The Formula of Effective Communication, The Essential Rules of Closing, The "Eight Steps of Selling" Strategy, The Solutions to the Four Types of Objections, The Tools of Selling, The Skill to Handle a Prospect's Emotions, The Art of Building Agreement. This powerful Sales Workbook enables you to put the theory of what you have studied into actual practice! Soft cover.Produced in the United States.